Zeke Betancourt takes the ball upfield in a JV soccer game. Betancourt enjoys the laid back environment of JV. "On other varsity sports, you can’t talk and goof around as much during practice," Betancourt said. Many members of the Class of 2020 found themselves playing junior varsity (JV) sports this fall. A handful of these athletes see the positive side to this and are happy playing on a JV team. Junior varsity teams provide a less competitive atmosphere that is centered around player development. There are a handful of juniors who participate in both varsity and JV teams. Junior Zeke Betancourt has been a member of the varsity swimming team as a contributor of back-to-back state championship teams. 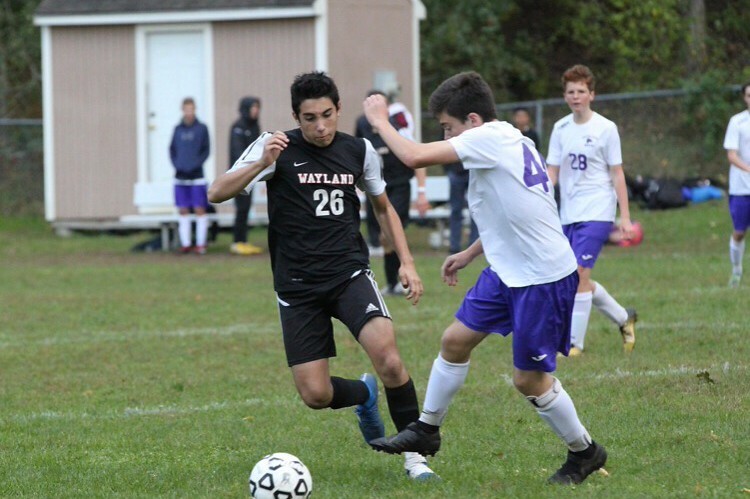 Despite playing another WHS sport at the varsity level, Betancourt loves the atmosphere of JV soccer. Varsity teams are not the only ones who participate in team bonding activities. Betancourt also enjoys spending time with his teammates off the field. Junior soccer player Gavin Moser was selected to the All-State team for baseball as a sophomore and is being recruited to play in college. Moser says the skills from baseball do not translate to soccer. “Soccer is different than the other sports I play because in soccer you use your feet, but in my other sports you use your hands,” Moser said. Other athletes, like field hockey player and junior Gabriella Rostler, enjoy playing at the JV level because it’s a fun way to stay active. “It’s a good way to spend time with my friends,” Rostler said. Betancourt also appreciates the relaxed environment that JV soccer provides. Having fun on the field is a value Betancourt believes in. “[I like] soccer [because] you can fool around sometimes because the coaches aren’t as strict,” Betancourt said. Moser also believes he wasn’t completely prepared for tryouts. “My soccer skills, mindset, drive and thoughts about the game were not up to par with the varsity standards,” Moser said. Moser appreciates being one of the older players while still being able to make new friends with the younger members of the team. 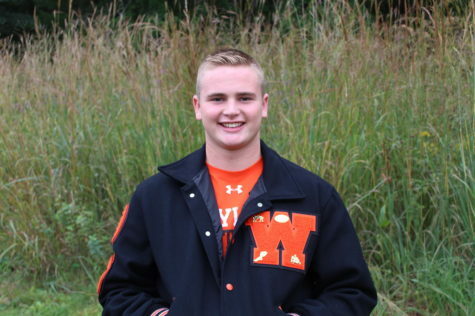 “The best part about being on JV is being friends with the freshmen and sophomores that are on your team,” Moser said.